The R.I.P. challenge surprised me this year, so I thought I’d look at what I already planned to review that would fit the category. The first book was this one. The idea is to spend September and October reading books that fit into specific categories, and mine are most likely to be mystery, suspense, or thriller, but a horror book or gothic novel might creep in there. 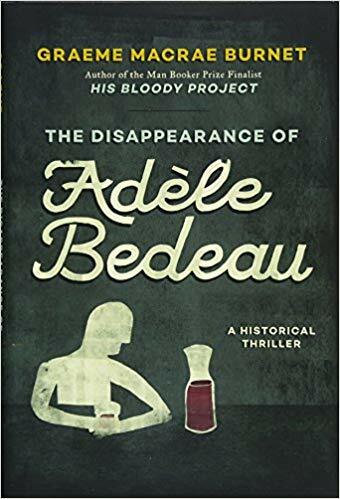 The Disappearance of Adèle Bedeau is an unusual character study wrapped around a semblance of a murder mystery. Although it is labeled Inspector Gorski on Goodreads, much of it is concerned with the actions and thoughts of Manfred Baumann. Manfred is a bank manager in Saint-Louis, a small town in the Alsace region of France. He leads an isolated life of extreme regularity, spending every evening at the Restaurant de la Cloche. He has no friends and spends most of his time by himself. Manfred does not really date. He takes care of his needs in a weekly trip to a brothel. But he has become fascinated by surreptitiously observing the waitress at the restaurant, Adèle Bedeau, a sulky teenager with a well-developed figure. He even goes so far as to follow her when she meets her boyfriend. Then Adèle goes missing. Inspector Gorsky can find no evidence of a crime, but he fastens on Manfred because he tells some lies. As far as the reader knows, he has not harmed Adèle, but maybe Raymond Brunet, the fictitious author of this novel, isn’t telling us everything. Gorski begins to feel there is a connection with another crime years earlier, his first, for which a culprit was identified and convicted. Gorski was never satisfied, however, that they got the right man. The depth of character portrayal of both Manfred and Gorski is what makes this novel stand out. It is portraying a creepy and paranoid guy in Manfred, however, and that may affect how much you enjoy the novel. Manfred sounds like a creepy guy. Sounds like a great character study. I love the RIP challenge. Yikes! Did he do it? 😉 The premise is very intriguing though. I loved the follow-up to this, The Accident on the A35, which in my usual topsy-turvy fashion I read first. It was the depth of the characterisation that made it special too, and also the way he created the town. Must get to this one soon! I wasn’t aware there was a follow-up. Good to know!